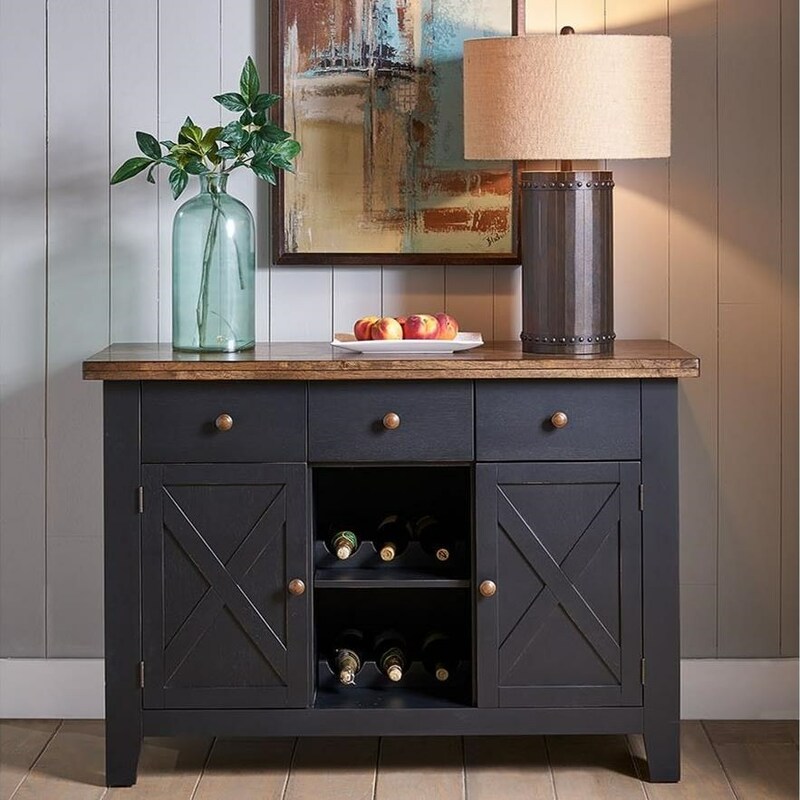 The Stone Creek Rustic Solid Wood Three Drawer Sever with Two Wine Racks by AAmerica at Darvin Furniture in the Orland Park, Chicago, IL area. Product availability may vary. Contact us for the most current availability on this product.